Rev. John P. O’Mahoney, CSV, a former provincial of the Clerics of St. Viator, died Nov. 6, 1949 at Columbus Hospital in Chicago following a heart ailment. He was 72. Fr. O’Mahoney was born Feb. 24, 1877 in the village of Annascaul in County Kerry, Ireland. His family immigrated to the United States in 1892 and settled in Utica, IL. 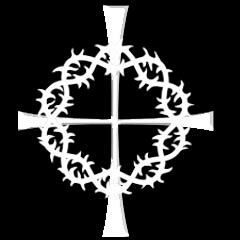 He entered the Viatorian novitiate at Crawford and Belmont avenues in 1894 in Chicago. He professed his first vows on Jul. 4, 1896 and his final vows on Jul. 4, 1901. Fr. O’Mahoney completed his studies for the priesthood at St. Viator College in Bourbonnais. He was ordained Apr. 23, 1904 at Holy Name Cathedral in Chicago by Archbishop James E. Quigley. Fr. O’Mahoney was an influential leader of the Viatorian Community for more than 40 years. From 1906 to 1918, he led St. Viator College as its president, and later served as treasurer of the college, from 1920-1929. When Fr. O’Mahoney began his term as president — at the age of 28 — he was the youngest college president in the United States. He also was a prominent leader of the National Catholic Education Association and served as president of the collegiate division during two separate terms. Fr. O’Mahoney served as provincial of his community from 1929-1939. It was during his tenure as provincial that Fr. O’Mahoney most endeared himself to members of his province. For the last 10 years of his life, Fr. O’Mahoney served as assistant chaplain at the Municipal Tuberculosis Sanitarium in Chicago. After having been in positions of authority for over 30 years, he assumed his humble duties with graciousness. Scores of priests, whose vocations he had encouraged and assisted, were present at the solemn funeral Mass held Nov. 9 at St. Viator Church in Chicago. The Rev. Thomas Harrison, a nephew of Fr. O’Mahoney from the Peoria diocese, was the celebrant. The Rev. Bernard J. Sheil, Auxiliary Bishop of Chicago and one of his former students, preached the sermon, while the Rev. 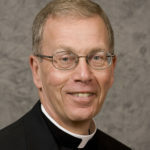 Martin D. McNamara, Bishop of Joliet, assisted in the sanctuary. The Rev. 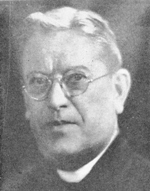 Lucien Page, superior general of the community, came from Montreal to attend his funeral. Fr. O’Mahoney was laid to rest in the Viatorian plot at Queen of Heaven Cemetery in Hillside, IL. Taken from obituary published in The New World newspaper, Nov. 11, 1949 and the 1953 Annuaire, pp. 60-70.